They’re nasty, dirty and would cause anyone with a weak constitution to hurl but throwing out your babies used nappies could soon be a thing of the past. A new kind of digital diaper may cause mums and dads to think twice before taking dumping. Created by New York-based start-up company, Pixie Scientific, Smart Diapers are designed to keep track of your child’s health by assessing his or her urine. 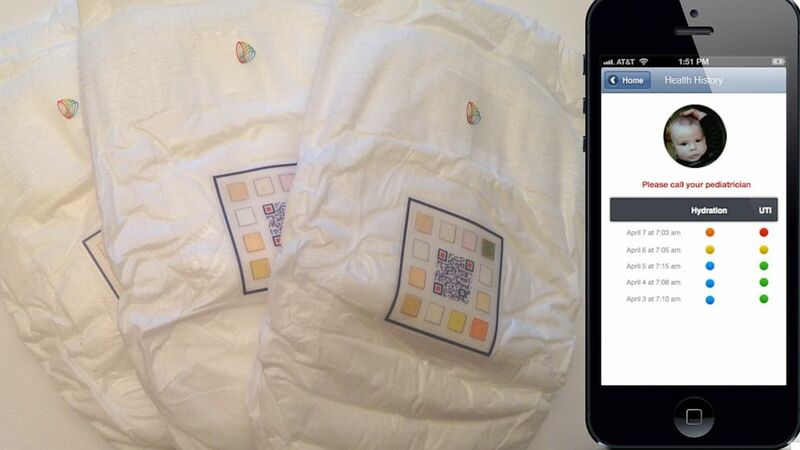 Using a mobile app, parents must scan the QR code on front of the nappy whenever it’s wet, for “diagnostic testing” to begin. Data from the diapers reveal problems such as urinary tract infections, prolonged dehydration and developing kidney problems. They’re still very much in the development stage but sooner or later, you might just see them in a Tesco’s near you!